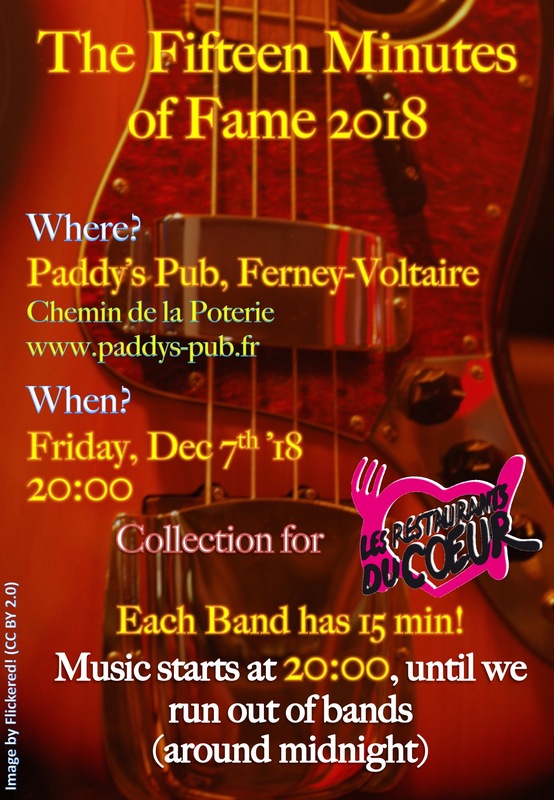 The Fifteen minutes of Fame is on again in 2018 – lots of different acts, in Paddy’s extra friendly Pub in Ferney Voltaire. Good beer, good music, good cause! “Jo & The Fuzzy Blue” will be on around 9:30 pm. 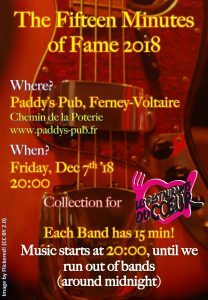 ← Previous post:Jo & The Fuzzy Blue at The Scene, Plainpalais, Geneva, Nov 17th, 2018, 22:30!